We give vitamin K supplementation as an injection in babies following birth to prevent a condition called Hemorrhagic Disease of the Newborn. This devastating condition was, prior to the institution of the supplementation, a significant contributor to infant death, which ravaged society in the pre-twentieth century period. Vitamin K is necessary to make the clotting system in humans work properly. It basically allows clotting factors to be turned on so they can work correctly. As children and adults, we get most of our vitamin K from our diet (eat your green vegetables!) and surprisingly from bacteria, which normally live in your intestines. These bacteria process the components of food which we don’t, and produce the vitamin as benefit to us. This vitamin dissolves in fat so adults generally store it well. Infants however do not have a good storage or supply of the vitamin. The placenta does not transmit it to the infant well and breast milk has very little vitamin K in it. Newborns also have no bacteria in their intestines to produce the vitamin; so, the end result is, without good storage of this vitamin, infants are at risk for severe bleeding problems. While this can present in the first week of life as bruising and bleeding from the umbilical cord stump, the most devastating effect is bleeding inside the brain which can occur up to 12 weeks after delivery. Most of this bleeding risk can be avoided with an injection into the muscle of vitamin K at the time of birth. This provides a source of this valuable vitamin to tide the baby over until intestinal bacteria build up enough to produce the vitamin for the baby. As far as dietary sources, breast milk does not encourage the bacteria which produce this vitamin to grow well. Formula is supplemented with vitamin K, but importantly the different sugars in the formula do encourage the bacteria to develop, but it takes time. Parents often hear stories about the vitamin K injections causing side effects, particularly a risk for cancer later in life (this was related to an old version which had a chemical called phenol in the formulation and never proven even when it was in there), worsening jaundice (again an old formulation used in the mid -twentieth century) and possible liver damage (which can happen from a large overdose, but highly unlikely with the standard amount given to infants). Some have proposed alternatives methods as the safest and most effective means to administer vitamin K, generally giving the vitamin by mouth to the baby. The big problem with this strategy is absorption of the vitamin is not guaranteed in infants so we have to give a large dose for a long time to do this. With high doses over a long time you do run the risk of getting too much vitamin K and causing liver problems. There are no commercial liquid forms of this drug, so often the injection solution is just fed to the infant. Over the counter vitamins K pills are not well absorbed at all and there is no certainty in these preparations how much vitamin K the infant will get. In a misguided effort to protect their baby from harm, parents end up exposing them to much more risk. The American Academy of Pediatrics does not recommend oral supplementation, because it has significant risks compared to the simple vitamin K injection, which has proven both safe and very effective to prevent this condition for decades. 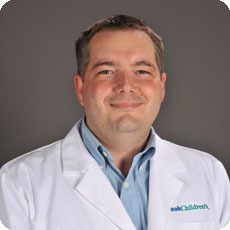 Donald Beam, M.D., is a hematologist and the medical director for the Life After Cancer Program at Cook Children's. Learn more about the Hematology and Oncology Progam at Cook Children's today.